The perfect Christmas gift for your friends and family. Each of our items is Delivered in an Organza Gift Pouch. Thank you for looking at our items in our Pewter-Ful shop here on nuMonday. 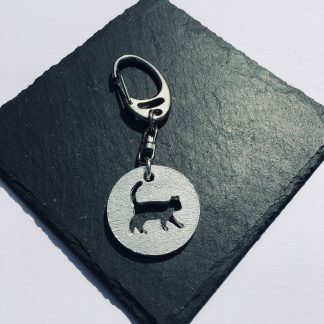 At Pewter-Ful each of our items has been designed and made to create individual gift ideas, with many Pewter (Lead-Free) designs, in our workshop based in the Midlands UK. From sports designs, hobby designs, Pets, and nature many unique gifts and keepsakes available. Creating Pewter Key rings, Necklaces, Pendants and Candle decor and Christmas Decor. Each item is made with English Modern Pewter, which is lead free, creating a stunning Shiny Silver effect. Texture for each item depends on shape and style.